Today we feature Dr. Ganesh Pote on the blog. He is a Doctor by training, a taxman by profession and an Indian by heart in his own words. He currently lives in Nagpur and works as Assistant Commissioner, Customs, Central Excise, Service Tax and Narcotics. He is in a transferable job and moves around the country quite a bit. But one thing he is very disciplined about and that is keeping track of his finances. Dr. Ganesh enjoys shopping online. He told us that he seems to buy almost everything online these days. It is convenient and so much easier to keep track of. When he joined his job more than 2 years back, just like any other first jobber, he splurged money. He spent quite a bit in the first year of his job, but went into a saving mode the next year. That is also when Money View App became a part of his life. Ganesh is a safe investor. He invests his savings in PPF and NPS. He also invests in mutual funds through SIPs so that he stays disciplined in his saving and also does it regularly. He remembers that a friend of his recommended that he try Money View to track his expenses. Before that, he was writing down his expenses but like everyone else, he slipped up and was not regular. Since he downloaded Money View, he has been using the App daily, yes daily. He is very organised and enters his cash expenses daily. He also loves the Split bills feature. Earlier he would feel awkward to remind friends who owed him money. Now Money View has managed that for him by sending timely reminders to his friends to pay the money they owe. Thus making his work easier. Money View tracks his spends using his SMSes and hence the tedium of manual entry is reduced. He is also more conscious of how he spends his money. He sees the detailed category-wise report of spends regularly and hence is conscious to not overspend or go overbudget. Dr. Ganesh calls Money View’s customer support team an asset to the company. They always reply to his feedback and concerns with great promptness. They personally call back as well. He feels that this emphasis on the user sets Money View apart. Finally, he says that he wishes to see Money View to reach greater heights. He has been so happy with his experience with Money View that he has never been tempted to try out any other App in the market. It elates us to hear from loyal users like Dr. Ganesh Pote. 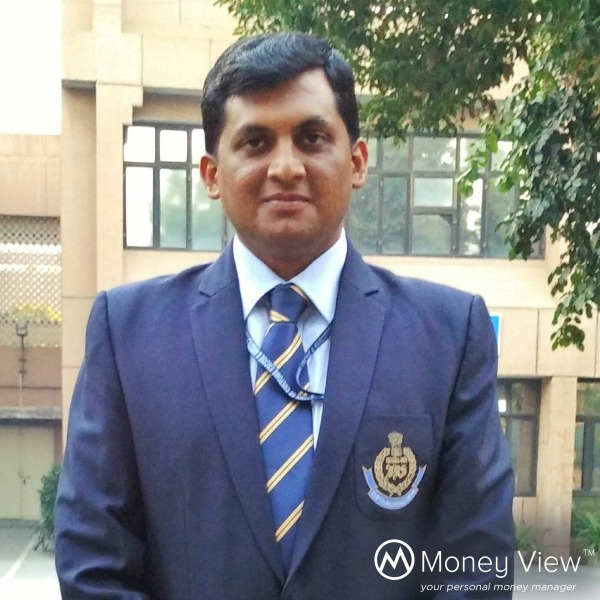 Dr. Ganesh Pote simplified his life and finances with Money View. Have you downloaded it yet? f you wish to share your Money View story with us and get featured on the blog, do write in to us at blog@moneyview.in.